This came across my email a couple of days ago. The point is, does it have some teeth, or it is just BLUSTER? Don’t Let Ryan Get Away with Any 2A Infringements! This is becoming painful to watch. House Speaker Paul Ryan is now asking — begging, really — the Trump administration to unilaterally impose gun control restrictions. And there is virtually no conceivable way that these restrictions will fall short of eventually regulating or banning your detachable magazines. 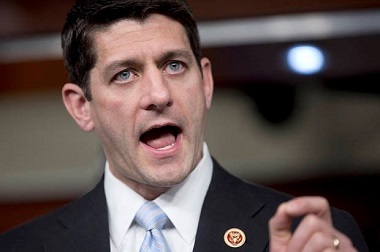 “We think the regulatory fix is the smartest, quickest fix,” Ryan said. Speaker Paul Ryan (R-Wis.) said Wednesday the Trump administration should move quickly to ban a device used in the Las Vegas mass shooting that allows semi-automatic weapons to fire more rapidly. So Speaker Ryan is urging the ATF to ban bump stocks — even while he has indefinitely pushed back the pro-gun agenda. But there are two major problems with this. First, there is no way that Congress — or the administration — will be able to ban or regulate bump stocks without also opening the door to prohibitions on other parts, accessories and magazines. This is because all of the legislative proposals currently on the table would ban ANY item or device that helps “accelerate the rate of fire” of a semi-automatic firearm. Using that standard, you can kiss your detachable magazines goodbye! But the other problem is this: The Second Amendment to the United States Constitution prevents the federal government from imposing ANY infringements upon our gun rights. If the Trump administration starts supporting infringements — even if they are so-called minor ones — it will weaken their ability and resolve to oppose the next set of infringements that come down the pike. Help GOA stay on the frontlines. Every dollar you contribute to GOA right now will be automatically doubled, thanks to a very generous GOA Life Member! Take Action and Put the Heat on Congress! 1. Uphold your oath of office. 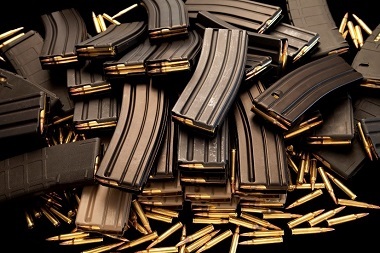 Do not support ANY infringements upon the Second Amendment — including those that would jeopardize detachable magazines. We need to let Ryan know that millions of gun owners oppose his compromises, which will endanger our ability to own detachable magazines. Plus, he needs to know that there will be SERIOUS ramifications at the polls if he and other Republicans do not stand up for our Second Amendment rights. We are in a political war to preserve our gun rights. I want to thank you for your help in putting the heat on your legislators. So please take action, and urge your family and friends to do so, as well. My apologies – having some issues here at home, I’ve not been as diligent as I have in the past regarding the fall-De-rall as I usually am regarding the silliness on the Hill. So, what do you guys thing? Bluster or real danger? The 2017 legislative session ended on May 10. Laws passed during a session are generally effective 90 days after adjournment. The following pro-rights bills will become law on August 9. You can view the status of all the bills AzCDL monitored during the session at our website’s Bill Tracking page. HB 2216 (Rep. Paul Boyer, R-LD20) makes it unlawful to require a person to use or subject themselves to electronic firearm tracking technology, a component of “smart gun” technology that limits the operation of a firearm as well as tracking its location and logging its use. SB 1122 (Sen. Gail Griffin, R-LD14) prohibits a city, town, county, or the state from requiring the search of any federal or state database as a requirement for transferring personal property, such as your firearm. Passage of this law should help complicate efforts we expect to see requiring “universal background checks” on private firearm transfers in Arizona. SB 1344 (Sen. John Kavanagh, R-LD23) is the AzCDL-requested bill that clarifies that state and local governments cannot regulate the possession of weapons by employees or contractors in or on their privately owned property or vehicles. This bill grew out of over-zealous local governments believing they can control all aspects of an employee’s or independent contractor’s private life. The Constitution of Arizona, along with several other states, contains a provision influenced by the “Progressive” (i.e., Socialist) movement of the early 20th Century. This provision allows for changes in state law, or even the Constitution itself, via a “citizen initiative” ballot measure bypassing the legislative process. All that’s required to put an issue on the ballot are petition signatures from a small percentage of registered voters. Unlike other states, once a citizen initiative ballot measure is passed in Arizona it can never be overturned by the Legislature. Billionaire and former New York City Mayor Michael Bloomberg has been exploiting this weakness in state constitutions to further his drive to disarm law abiding Americans. In 2014 he successfully used the ballot measure process to achieve gun owner registration via “universal background checks” in the state of Washington. In 2015, the Oregon legislature accommodated Bloomberg by passing similar laws. In 2016, a Bloomberg backed ballot measure passed in Nevada. We expect to see a Bloomberg backed ballot measure calling for “universal background checks” in Arizona, possibly in 2018. This year the Legislature passed, and the Governor signed, two laws that restore integrity to Arizona’s petition gathering process for ballot measures. HB 2244 requires strict compliance to the ballot referendum constitutional and statutory requirements. HB 2404 prohibits payment to petition “circulators” based on the number of signatures collected. It also invalidates signatures collected by a paid circulator who fails to register with the Secretary of State. New provisions have been added for challenging a ballot measure. Apparently this new law is so threatening to those who want to take your rights away that a ballot petition has already been filed to overturn the provisions of HB 2404 in 2018. Google and other companies in the Silicon Valley are no longer content to simply donate as much spare cash as possible to anti-gun candidates for federal office. The tech moguls in the bluest of blue districts in the United States have chosen a side in the culture wars and are taking direct aim at the 2nd Amendment. Here is how Google and other tech giants are actively working to turn people against your gun rights. eBay was the first tech giant to ban firearms sales from its platform, but Google was not far behind. This should come as no surprise considering the eight-year game of “musical chairs” between Google and the notoriously anti-Second Amendment Obama administration. A staggering 258 executives and government employees rotated jobs through the revolving door between the Obama White House and Google between 2009 and 2016. At the end of Barack Obama’s first term, Google suddenly banned the sale of firearms from its shopping platform, declaring guns and ammo to not be “family safe.” Not family safe? That bigoted statement alone has the power to shape public perception about firearms. Then consider the creepy report from the American Institute for Behavioral Research and Technology in 2015. Researchers discovered that Google’s search algorithm can manipulate 20 percent or more of undecided voters to switch their votes! Robert Epstein, the senior research psychologist on the study, told Politico that Google has the ability to “control a wide variety of opinions and beliefs … [more] than any company in history has ever had.” If Google can trick people into switching their voting preferences, it’s easy to see that it could be doing the same thing with opinions on gun rights. This social media giant has been moving toward becoming an online shopping platform more and more in recent years, but in 2016 Facebook suddenly began treating gun owners as pariahs. To this day, Facebook refuses to say how many gun enthusiast pages it took down in a massive purge when it rolled out a new policy to ban the private sales of firearms — which are legal in most states. Facebook has assigned a liaison to help bring gun enthusiast pages into compliance with its policy, but many gun owners simply abandoned the platform and went elsewhere, according to Forbes. This is just another instance of a giant Silicon Valley company treating gun owners as second-class citizens, with a separate set of rules and regulations that other retailers do not have to abide by. This is compounded by anti-gun activists poring over Facebook posts and flagging anything related to guns as “offensive” until Facebook takes the post or a user’s entire page down. Insiders at Twitter admitted in 2016 that the company has been shadowbanning the tweets of prominent conservatives, including many Second Amendment patriots. A “shadowban” is simply a form of censorship in which the tech giant that censors you never tells you that you’ve been censored. You can still tweet a picture of that new sidearm you purchased, but none of your friends or family members will ever see it because it was shadowbanned. Many Facebook users have reported that their posts have been shadowbanned as well. Online services PayPal, Stripe and Square have all banned gun stores from using their platforms for business. Never mind that these are lawful businesses operated by federal firearms license holders who conduct background checks before all sales. Gladwin Guns and Ammo in Merced, CA filed a lawsuit against the three Silicon Valley money transfer services in June of 2017. Owner Blair Gladwin told the Merced Sun-Times, “They flat-out shut me down. My livelihood is on the line, because my revenue is going to drop.” 2nd Amendment enthusiasts will want to keep an eye on this case, because it could have a nationwide impact on whether lawful gun stores are allowed to use the same services as most other businesses. Google and other tech giants are sending gun owners, gun shops and people who simply support gun rights to the “back of the bus” in 2017. Constant discrimination like this against gun owners does have an impact on public perception and this is a problem that all gun owners should be concerned with — especially knowing the tremendous power that the Silicon Valley wields with its vast troves of data on Americans. This should be of no surprise, as Northern California (and California in general) is a bastion of liberal political thought. It is surprising that Amazon (farther North in Washington State), while not selling firearms, does allow sale of accessories, stocks, lubricants and novelty items (a chocolate Glock?). The problem is, unless we ‘protest’ these entities by going off the grid (no cellular telephones, tablets, payment platforms or social networking, or using their services), they will continue to make huge dollars unabated. And continue to ‘control’ the masses. (Matthew Vadum, Bombthrowers.com) Racial arsonist Al Sharpton is demanding the federal government shut down the historic Jefferson Memorial in the nation’s capital because the long-dead president honored by the monument owned slaves. Thomas Jefferson, America’s third president, the man who wrote the justly revered Declaration of Independence, is also the man who penned this noble sentence: “I have sworn upon the altar of God, eternal hostility against every form of tyranny over the mind of man.” Perhaps he was thinking of future Al Sharptons when he wrote it. Boiled down, this is a case where one of the most important, heroic, inspirational, intellectually robust, accomplished, and beloved figures in American history is under assault by one of the most repulsive, cowardly, sociopathic, intellectually deficient, unaccomplished, and despised figures in American history. You should really go and read the whole article! I’ve stated before, I believe in this Republic, warts and all! Let’s stop throwing the baby out with the bathwater! Recognize them for their accomplishments, but remember their mistakes. Kennedy was a womanizer and drug user. Johnson fathered an illegitimate child. Jackson committed genocide against certain Indian tribes, but fought afterward to give then aid. But kept the Republic budget balanced, and with no debt and no national bank! President Trump’s Executive Order on Public Safety in the Interior of the United States requires the Department of Justice and Department of Homeland Security to collect relevant data and provide quarterly reports on data collection efforts. The data in this release shows a significant prison population of incarcerated aliens. Below is a summary of data collected under Section 16 of the Order, which directs “the Secretary [of Homeland Security] and the Attorney General . . . to collect relevant data and provide quarterly reports” regarding the following subjects: (a) the immigration status of all aliens incarcerated under the supervision of the Bureau of Prisons; (b) the immigration status of all aliens incarcerated as federal pretrial detainees; and (c) the immigration status of all convicted aliens in state prisons and local detention centers throughout the United States. The Department of Justice’s Bureau of Prisons (BOP) has an operational process for maintaining data regarding foreign-born inmates in its custody. On a daily basis, BOP supplies this information to U.S. Immigration and Customs Enforcement (ICE). ICE, in turn, analyzes that information to determine the immigration status of each inmate and provides that information back to BOP. As a part of satisfying the Justice Department’s second quarterly report of this information, below is information regarding aliens currently incarcerated under the supervision of BOP. Seven (.0002%) are aliens who have been granted relief. The U.S. Marshal Service (USMS), the Department of Justice’s component charged with the housing and care of federal pretrial detainees, recently instituted a program to capture data regarding the immigration status of these detainees. The Department continues to progress towards establishing data collection of the immigration status of convicted aliens incarcerated in state prisons and local detention centers through its Office of Justice Programs (OJP), Bureau of Justice Statistics (BJS). It would be of interest to see comparative numbers from the previous administration. The Civil War Is Here!? We can have a system of government based around the Constitution with democratically elected representatives. Or we can have one based on the ideological principles of the left in which all laws and processes, including elections and the Constitution, are fig leaves for enforcing social justice. But we cannot have both. Some civil wars happen when a political conflict can’t be resolved at the political level. The really bad ones happen when an irresolvable political conflict combines with an irresolvable cultural conflict. That is what we have now. The left has made it clear that it will not accept the lawful authority of our system of government. It will not accept the outcome of elections. It will not accept these things because they are at odds with its ideology and because they represent the will of large portions of the country whom they despise. The question is what comes next. We have already seen areas in major U.S. cities where one may not travel safely. Including racial and religious intolerance. Now, political intolerance has been added. People being attacked because they openly support The President or just appear to have! There is now a massive divide in this Republic, and it appears no amount of positive propaganda, Norman Rockwell posters or calls to regain civility will solve the problem. The Fabian Socialists have reunited with the Communists (non-Fabian socialists), and are systematically attempting to disrupt social order to the point government has lost perceived control. Just as Norman Thomas, Saul Alinsky and George Soros wanted. BIGGOV will attempt to regain control by being more fascistic (see The Patriot Act), or the Leftists will continue to promote more violence and social disorder until the government falls. In any case, I don’t see a pleasant, non-violent outcome for The Republic. The Great Experiment is coming to an end. William Shanter, the ICONIC Star Trek actor himself, refuses to talk ill of President Donald Trump regardless of his feelings for politics. In a recent interview he had with the Daily Beast he spoke all about it, and his new book, ‘Spirit of the Horse’. During this interview, Shatner made it really clear that his name was not to be added to an open letter that was released out of Hollywood last year denouncing Trump’s candidacy. “I didn’t do that. I would never have done that,” the actor said of the anti-Trump letter posted on the Trek Against Trump Facebook page last September. There were however, notable personalities of the original star trek series like George Takei (of course) who played Hikaru Sulu, and Star Trek Into Darkness director JJ.Abrams, who was a very avid Clinton supporter did sign that letter. The Beast reporter did attempt more than once to get Shatner to dish on Trump, and the actor stuck to his guns refusing to do so, making it very clear that he wasn’t willing to speak ill of the president. “I won’t do anything that might get me deported,” the 86-year-old star joked. The Priceline pitchman, known best for his role as Captain James T. Kirk, commander of the U.S.S. Enterprise, also revealed that while he and Abrams have discussed him having a role in the rebooted Star Trek film franchise, the director hasn’t extended the offer. Shatner, who made his small-screen debut as Captain Kirk in 1966, also revealed that he has never seen any of the new films. A lifelong lover of horses, Shatner’s new book Spirit of the Horse is a love letter to his four-legged friends. Although he is very liberal in his political beliefs, he knows how to stand for those beliefs without being ridiculous and out of line like his other Hollywood friends. Yep. I could sit next to him on a plane, introduce myself as a conservative and he’d like me. That’s how it’s suppose to be. AMEN, Mr. Shatner and Mr. Wendal! Now, I’m not an unabashed fan of the current President (although he is certainly a vast improvement over the last one!) Having said that, I tire of the juvenile and sometimes criminal actions taken against the President. Like it or not, he IS the President! And deserves some respect. To see and hear (most) Hollywood types continue to attack and beat on him is more than shameful. YES, everyone has a right to an opinion. But, lets be adult about it, shall we? Disagree on policy choices, not hairstyles!